The best business Web sites are more than online billboards -- they're powerful sales tools. Here's how some Microsoft partners are using their public sites to attract new customers and better serve their existing ones. In its first three years as a software provider for professional training and continuing-education companies, CourseMax Inc. had a standard Web presence: a Web site that the company's president, Dan Blake, now likens to an online brochure with details about the company, its products and services. That approach has changed radically in the last few months for CourseMax, a Baltimore, Md.-based Registered Member of the Microsoft Partner Program. In January, as an integral part of its bid to expand business beyond its dozen customers, CourseMax launched an extreme makeover of its Web site. It's morphed from a static "here's what we do, contact us" page to what Blake describes as a social-networking site, online community and marketplace for training providers, instructors, students and others. The new site, built on Community Server software from Telligent Systems Inc., allows users to network, pitch their own training or continuing-education services, find instructors, schedule classes, book facilities, create promotional blogs and more. "People can participate in various forums and customers can communicate with you right from there," Blake says. And, of course, visitors to the Web site can get a free trial of CourseMax's products. Blake says that even before the official launch, the Web site's beta version had generated a solid buzz. "Initially, people are a little unclear about the purposes," he acknowledges. "Once they understand it, we get a bit of a 'wow' factor." CourseMax hopes that its new Web site will make the small company a big focal point for all facets of the training and continuing-education industry. Think of it as a business version of the Facebook social-networking site -- or, as Blake puts it, a social customer relationship management (CRM) system for an industry made up of many small companies. While some may have questions about the CourseMax Web site's shift in focus -- particularly CourseMax clients who worry that their competitors will use the site to siphon off their own customers -- Blake believes this more sophisticated approach to Web marketing is a future necessity in the making. "Social media and online media are changing things," he says. "You either figure out how to do business this way or people aren't going to buy from you." With an increasingly Web-dependent world doing business in a recession-era global market, more and more Microsoft partners are looking for creative new ways to capture the attention (and contact information) of potential customers online. They're doing so using tools ranging from social networking to online forums to webinars and more. 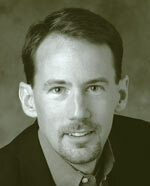 Reed Overfelt, chief operating officer of Reston, Va.-based Registered Member Mural Ventures, a venture capital, consulting and software-development company, says that over the past three years, business-to-business companies have begun to follow retailers' rush to the Web for convenience and savings. Overfelt cites an October 2008 report by research and advisory firm Kelsey Group, which estimates that 54 percent of all product purchases, including business-to-business sales, now originate with some sort of Web search. 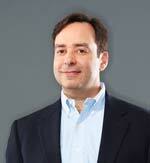 Says Overfelt: "We've gone from Web-agnostic buyers to Web-centric buyers." But Overfelt and others say that while buying habits are shifting to the Web, many Microsoft partners and other IT companies -- the supposed wizards of technology -- have let their own Web sites slip well behind the times. "It's like the shoemaker's kids who don't have shoes," says H.R. "Mac" McIntosh, a North Kingston, R.I.-based marketing and sales consultant who works extensively with Microsoft partners. "Many companies don't put the time and the money they need to into their Web sites." Some did invest heavily in initially launching their Web sites -- then neglected them for years. The changing role of company Web sites has sparked an evolving debate within the Microsoft partner community. While many partners are embracing the concept of Web-based marketing, others have their doubts about abandoning tried-and-true sales strategies. Discussion on the pros and cons of updating Web sites is likely to become an area of increased discussions at partner meetings this spring. Microsoft itself is also becoming more involved, having presented a session on the subject at the 2008 Worldwide Partner Conference with the promise of more to come. "There's a lot of discussion and a bit of debate on the issue," says Kerry Gerontianos, the U.S. president of the International Association of Microsoft Certified Partners (IAMCP), whose New York, N.Y.-based Incremax Technologies Corp. recently upgraded its Web site. Gerontianos expects IAMCP chapters to get more involved in providing forums and best-practices seminars on the subject. "We're working with Microsoft to help define the best sales methods," he says. "Once we do that, we'll be helping our members understand the best way of getting customers." "Online marketing can be relatively cheap compared to traditional marketing tools. It changes the task and size of your efforts." Why Upgrade Your Web Site? The best sales methods are crystal clear to McIntosh. "The Web site is pivotal to everything," he says. "It becomes a step in every business deal. If someone recommends you to me, I'm going to check out your Web site. If I'm looking for someone or something, I'm going to search for it on Google." McIntosh reckons that a well-optimized Web site can account for one-third to half of a company's sales. Another third comes from direct marketing, including e-mail and phone solicitation. The rest comes from all other methods. Most agree that the Web site percentages will only grow with time. Overfelt, a former Microsoft regional executive, is ardent in his belief that those who dither about upgrading their Web sites will be left behind. "The nature of having a Web presence has changed fundamentally in the past couple of years," he says. His No. 1 piece of advice to partners: "Understand how important it is to become Web-centric in marketing," he says. "Online marketing can be relatively cheap compared to traditional marketing tools. It changes the task and size of your efforts." We're looking for a few good Microsoft partner Web sites. Is your company's Web site a great example of what we've been describing here? Maybe you're using video demonstrations or customer testimonials, or you've produced your own series of webinars. Maybe you've got lively dialogue with your clients through blogs or forums, or you've customized sections of your site to match the interests of different audiences. Perhaps you're offering free software trials or even doing direct sales through your site. Whatever approach you're taking, if it's working, we want to hear about it! If you're able to demonstrate success, we may feature your story in a future RCP Gold Site Spotlight feature in our pages and on RCPmag.com. We'll also recognize your effort with our forthcoming new RCP Gold Site designation. Your company's strategy for using its Web site to boost sales, better serve customers, build a community or achieve other business goals. The specific technologies you're using to achieve those goals. The results (increase in new customers, upswing in repeat sales, stronger relationships with customers and so on). Put "RCP Gold Site" in your e-mail's subject line and send it to Editor in Chief Scott Bekker (sbekker@rcpmag.com). If we're impressed, we'll follow up soon. In making his case for upgrading company Web sites, Overfelt cites Google Inc. statistics on Web searches, noting that the shrinking amount of time Web users spend flitting from one Web site to the next requires new thinking about how your Web site is constructed. "I sometimes get the feeling that we've experienced a global pandemic of ADD," Overfelt says, referring to attention deficit disorder. "Today, you have 12 words and 22 seconds to capture your buyer. Not too long ago, it was 60 seconds. For someone trying to capture a customer, that can be very scary." Some businesses try to counter the quick-click browsing habit by paying for a place on the listings that show up on the right column of a search page. But Overfelt cites a study by Compendium Software LLC, an Indianapolis, Ind.-based maker of blogging software, that found only 10 percent of searches involve someone clicking on paid ads. The overwhelming majority of potential customers still rely primarily on natural search results. The real solution, according to the experts, is search engine optimization (SEO) -- the technical phrase for engineering your Web site so it will pop up higher on search lists. Using SEO effectively requires taking a new mindset to traditional marketing methods that rely on such things as company-name branding. Today's Web users are far less likely to search by company name and more likely to use keywords that describe the goods and services they're seeking. If you're in the CRM business and use the phrase "customer relationship management," you'll probably still be buried in a Google search using just that phrase; the top results are likely to include the CRM definition on Wikipedia and the phrase's use in high-traffic online articles or blogs. But add the word "sales," and you'll see an individual company move higher in the results. Add "best," and a few companies move higher still. Add another qualifier -- a state or city name -- and even more filtering will occur. "A lot of companies don't show up because they've never search-optimized their Web sites," says McIntosh. "You have to do some thinking about the way you can get your Web site to the top of search-engine results." Much of the advice about SEO may seem obvious, but bears repeating. First, there's the strategic positioning of keywords used in searches. Because search engines are computers that read text, you need relevant text describing your goods and services at the top of the page. "The Googles of the world give more credence to placement of the text," says McIntosh. However, keep in mind that visitors to your site will be reading this same text. So it's smart to keep it user-friendly, selectively using keywords to describe your products and services in a natural way, rather than awkwardly cramming together as many as possible in hopes of attracting search engines. And keep in mind that links also attract search engines. Having high-quality links coming to your site, and linking to relevant pages on other sites, will also raise your profile in searches. What search engines don't give much credence to is Flash programming. Fancy dancing logos, crawler-type text and other kinetic displays are designed to catch the eyes of human browsers, but are often illegible to most search engines. Snazzing up your site is fine, but place the unreadable Flash programming below the keyword text. "You need HTML text in permanent pages," McIntosh explains. Overfelt says companies shouldn't be hesitant about using multiple Web addresses to lead customers to their sites. Another tip: Use news stories and current events that can be tied to your business as another way to attract potential customers to your site. For example, when a public corporation finds itself in the news spotlight for running afoul of SEC filing requirements, you can bet that nervous financial officers at other companies nationwide will head to the Web to find out more about the case -- and what they should do to avoid the same pitfall. If you sell software relating to the requirement in question, it might be worth the cost of buying a few domain names related to the case to help steer those CFOs to your site. Another hint: Purchase domain names containing common misspellings of or variations on your company name and link them to your main Web site. The mild guilt you might feel about perpetuating illiteracy could well be balanced by the extra business. If all your hard work at driving traffic to your site succeeds, the next challenge is to keep those potential customers from jumping to the next site. "Once they find the Web site, you still have to hit them over the head," McIntosh says. "Communicate why you're better than all those other Microsoft partners. If you look like everyone else's Web site, no one is going to linger long. You have to show them that you're different." "We don't use our Web site to find customers so much as we use it to allow our customers to validate us." Kerry Gerontianos, President and CEO, Incremax Technology Corp. There are many different ways of turning a Web visitor into a customer. Gerontianos takes a more traditional view that a Web site should allow potential customers to corroborate your business standing. To that end, provide a list of satisfied customers -- the more recognizable the company names, the better -- and other examples of your work. "We don't use our Web site to find customers so much as we use it to allow our customers to validate us," Gerontianos says. "For many purchases, the end product is a commodity. For my business, the end product is not a commodity. You want to know if I can build something for you, like an architect you'd hire to design your house." Overfelt takes the idea one step further by suggesting a place on your site where customers can rate you. Although some executives may squirm at the idea of letting clients publicly grade company performance, Overfelt cites surveys indicating that potential buyers are more interested in opinions from their peers than in the kind words that you might have for yourself. "Only 14 percent of active Internet users trust advertising, while 78 percent trust word of mouth," he says, citing research by Universal McCann, the New York, N.Y.-based global media agency. "On Amazon, anything with two stars or below [in user ratings] gets no traffic. A product that is low-rated doesn't sell at all." Another strategy is to offer something of value. "Give them a compelling reason to stay and leave information: an offer or call to action, a how-to guide, something with a list of seven things you need to know," says McIntosh. "Give them quizzes, questions to answer, something that makes it worth it to fill out contact information, like a free white paper or webinar." A growing number of Web sites do "pre-retailing," providing free trials of company software. "It gives customers the chance to see if this is the solution they want," says Overfelt. "They try it out and then can potentially chat with someone online about the product in greater detail." Another bit of advice is to optimize your site's impact. Customize pages to the different audiences within a potential client company. Offer separate "click-here" buttons for the chief information officer, for the company president, for the CFO-each leading to a separate pitch tailored to the interests of that officer. "If I'm IT-savvy, I don't need a detailed explanation about virtualization; telling me it would save me time or money would be more direct," says McIntosh. In contrast, a page for corporate managers could briefly outline the basic concept of virtualization, then focus more on the business benefits that the technology might bring. And, although it seems obvious, make sure you make it easy for potential customers to contact you. It can be as extensive as providing a function allowing potential customers to chat in real time with someone on your sales staff. At the very least, though, make sure your phone number is highly visible. It's a pet peeve for McIntosh (as well as for this writer), to have to hunt for a company's contact information. "When they bury it, it drives me nuts," McIntosh says. "You should have a big, bold 800 number on every page." Despite widespread enthusiasm about Web-based sales strategies, there are plenty in the industry who aren't ready to agree that the approach is the Next Big Thing. One stumbling point is the cultural change it presents to the traditional marketers who must learn to pitch sales in new ways, including the anathema of actually quoting prices online. "This is where the marketing person freaks out," says Overfelt. As noted earlier, other partner leaders have their doubts about a new model of Web-based sales that waits for the customers to find them or, in the case of CourseMax's social-networking site, throws open the doors to a gaggle of strangers, including potential competitors. "Not all businesses are necessarily ready to adopt this," says Blake, whose Web site offers clients the option to be more selective about who can view certain information about their operations. Gerontianos has his own doubts. "We look at our experience and find our direct marketing-telemarketing and customer relationships-is what drives our customer acquisition," he says. "It's important to have a Web site for the business and service side of things to affirm that I'm a valid person to do business with. But validation is not acquisition." But Gerontianos also sees the value of enhanced Web site sales in some sectors. His company, Incremax, has started selling less-expensive Microsoft-hosted versions of SharePoint and Exchange. Gerontianos sees the addition of selling a commodity backed by Incremax service as an incentive to drive potential customers to the Incremax Web site. As a result, the Web site is being updated with a series of webinars and other events designed to attract new cutsomers. "We're looking at how customers can leverage Microsoft's hosted SharePoint capabilities, which can save them significant money," he says. Meanwhile, Microsoft is taking steps to help partners with the move to online marketing. Pinpoint, Microsoft's online marketplace, is just one step in that direction (see "Pointing Prospects to Partners," November 2008). Office Live provides small businesses with a free Web site-in-a-box, along with some setup advice. Gerontianos also expects to see Microsoft hosting more forums on the subject. But Overfelt, the former Microsoft executive, says confusion remains throughout the industry. He even cites Microsoft's failure to leverage the huge popularity of Microsoft.com and MSN to drive traffic to Pinpoint. "This [Web site marketing] is a really emerging black-box part of the market that many customers don't understand, including Microsoft," he says. But other partners credit Microsoft for its help on the subject, including forums and direct aid through its BizSpark program, which provides young companies with contacts to more established businesses, as well as free software for three years. Blake credits the program with helping CourseMax set up its new Web site strategy. "Some are trying to figure out how to sell online. The other half are trying to hold onto their customers," he says. "We believe the future industry leaders will be the ones who have better service on their Web sites and aren't afraid to let their customers participate."